Horizon is a world-class flight training organization providing innovative, tailor-made training solutions to commercial and military customers across South Asia, the Middle East, and North Africa. With a 5,000 square meter facility at the Al Ain International Airport, Horizon's flight training program employs state-of-the-art equipment and utilizes the best resources for pilot training purposes. EDIC Horizon was established in 2003 to meet the needs of aviation training locally and regionally in line with the vision of His Highness Sheikh Mohammed bin Zayed Al Nahyan, Crown Prince of Abu Dhabi, Deputy Commander in Chief of the UAE Armed Forces. 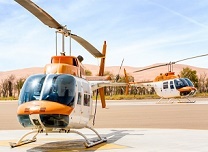 EDIC Horizon is approved by the General Civil Aviation Authority of the UAE. Since its inception, the Academy has graduated more than 1,300 pilots from the UAE, the GCC, and other countries. EDIC Horizon International Flight Academy has recorded many achievements including being the first organization within UAE to be certified by ISO 9001: 2015. This is proof of the quality of the services provided to meet our commercial and military customers? requirements. EDIC Horizon has one of the world's most advanced pilot training facilities, which are supervised by experts and trainers of various nationalities. Our personnel?s expertise and competence ensure that our programs and training courses are carried out in accordance with uncompromising safety quality and efficiency standards. The success of Horizon is not limited to accreditation as an approved flight training organization. On September 2017 the Academy succeeded in obtaining full accreditation of its English Language Proficiency (ELP) test from General Civil Aviation Authority that allows pilots and air traffic controllers to fulfill their licensure requirements locally and internationally. Moreover the Academy was the first flight training in UAE to be certified as E-examination center for theoretical knowledge exams. 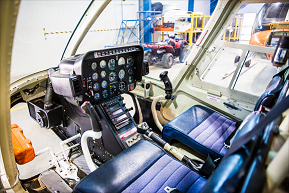 EDIC Horizon became an official accredited maintenance services for our aircraft by having CAR 145. With the continuous growth in the field of aviation training locally and globally, the Academy is looking to introduce a new venture comprising of twin-engine aircraft fleet. This will enable the Academy to develop new advanced training programs that are in line with the Abu Dhabi Government's approach to economic diversification. The aim is to create a sustainable, knowledge-based economy that relies on advanced technologies and contributes to the growth opportunities of Emirati society. The academy is committed to graduating a new generation of Emirati and international pilots with the highest levels of competence and skills.